Brazil does not only have the largest population in Latin America, but also the biggest economy, sitting ahead of both Mexico and Argentina. Even though several political uncertainties exist under President Michel Temer, Brazil still offers exciting commercial opportunities for private business. Since the start of the current president’s period, Brazil’s economy has experienced a steep annual GDP growth, going from -3.46% in 2016 to 2.4% in 2018. São Paulo is Brazil’s Economic Hub. Annual GDP growth is expected to be constant at the current rate of approx. 2.5% over the coming years (World Bank Group). Brazil is part of the BRIC countries, together with Russia, India and China. Brazil is the world’s 8th largest consumer market. Brazil has been the biggest exporter of coffee over the course of the last 150 years, now contributing 40% of world’s coffee supply. Even though Michel Temer has been alleged of engaging in corrupt behaviour, he has executed economic reforms with the aim of stimulating economic growth through government spending and cutting down barriers for foreign investors. In addition, he was able to consolidate Brazil’s workforce, especially in the industry sector. Thanks to this economic revival, Brazil is the world’s 9th largest economy and is expected to overtake Japan, Germany, the UK and France in the next 30 years. The economic upswing has had a positive impact on business establishment and formation. But one of the most important matters to tackle before establishing operations in Brazil is how to attract and hire local staff. Keep reading to learn about a valuable method to hire staff that does not have the economic or administrative burden as forming a local legal entity has. When setting up a local company in Brazil, it is fundamental to conform to local labour laws. The most important aspects of the Brazilian labour law are elaborated below. Employment Contracts: In most cases, employment agreements in Brazil are for an indefinite term. An employment relation requires services performed on a personal, permanent and onerous basis including subordination. Fixed-term Contracts: Are only allowed for a term of up to two years if the business activities are temporary. The employment agreement requires a written statement clarifying the terms of employment. Open-ended Contract: A fixed-term contract becomes an indefinite-term employment if the reasons for a definite term contract are not sufficient, the information incomplete or if the contract has been extended more than once. Foreign Workers: A general rule for the number of foreign workers in a Brazilian company exist – for each foreign employee, there must be two Brazilians employees. Contract Termination: The contract can generally be terminated by the employer or employee at any time without giving a particular reason, however, an appropriate notice has to be given. Many foreigners agree that the Brazilian Labour Law is loaded with too many employee benefits, making the management of labour law complicated without the support of a local partner. In the following section of this article, we will highlight the key benefits. Working Hours: The Federal Constitution states that working hours shouldn’t exceed 44 hours a week and preferably 8 hours a day. Overtime: According to national law, employees mustn’t work more than two hours of overtime. Overtime is paid at a minimum rate of 150% of the regular salary. Paid Vacations: Employees can legally take 30 days off for every 12 months they work. Dismissed workers that were not able to take their vacations yet are paid 1/3 of the vacation value. Bonuses: Employees in Brazil are paid the ‘13th salary’, which is a month’s salary paid in two instalments (usually in November and December). Maternity Leave: Pregnant women can take a leave of up to 120 days. Fathers are allowed to take five days off for the birth of their children. Sick Leave: If it is properly documented, an employee gets paid for the first 15 days of his/her sickness. After the 15 days, the National Institute of Social Security (INSS) pays any further day of sickness. Transportation and Meals: The Federal Constitution demands that employers pay transportation and food costs for employees working the full eight hours. Minimum Wage: Since the start of the year 2018, the minimum wage in Brazil amounts to R$954 BRL per month. Professional Employer Organizations are a Valuable Alternative to Creating a Local Company. For the majority of foreign investors, it’s a challenge to understand and comply with the local employment laws in Brazil. 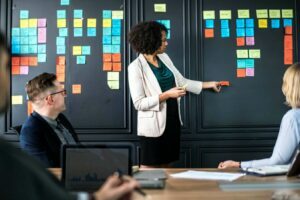 To avoid and facilitate some of the bureaucratic processes of engaging and hiring staff, a Professional Employer Organization (PEO) solution can prove to be a great alternative. A Brazilian Professional Employer Organization (PEO), also known as an ‘employer of record’, is a company that employs workers on behalf of companies who do not have a local entity in Brazil. As such, the PEO oversees and manages tasks related to the various human resources functions, ranging from payroll to benefits management to tax payments. REAL-LIFE EXAMPLE: An Australian company wants to engage and hire a sales representative in Brazil, who is able to represent the business and conduct business locally. According to the company, a bilingual Brazilian employee is able to represent the firm more efficiently than an Australian employee due to his/her knowledge of the local market, and lingusitc capabilities. In addition, the Australian company has identified cost savings for this individual. The only problem for the company is that they are not ready to establish a local entity, and have limited knowledge of local labor law. Therefore, they decide to employ a Brazilian PEO service provider, who hires their Brazilian individual on their payroll. The employee is legally employed by the PEO service provider while simultaneously being tasked and guided by the Australian company. Working with a Brazilian PEO can be an invaluable service to small to medium-sized companies (SMEs) looking to conduct business in a new market as it allows for the outsourcing of HR functions to the service provider. At the same time, the company retains control and direction over its employee remotely. Making use of a PEO service in Brazil can yield all the HR and legal responsibilities to the PEO service provider. A PEO is always up-to-date on changing regulation and law. Employees can be hired quickly and there is no need to establish a local legal entity in Brazil, thus minimising costs. Using a PEO in Brazil may help foreign companies to make an initial commercial contact with the Brazilian market; the first stages of their expansion into the region. During that time, they can gain valuable knowledge of the local market and are able to assess whether to form an independent company in Brazil or continue operating with their PEO partner. Interested in Doing Business with a PEO in Brazil? Brazil’s economic growth is gaining momentum and so are business opportunities in the local Brazilian markets. 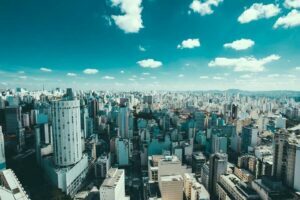 If you want to start becoming acquainted with the business environment in Brazil, a PEO is an optimal alternative to creating an independent legal entity. Contact our Country Manager, Bruno at [email protected] to learn more about how we assist your hiring and recruitment needs in Brazil. Unsure about how to start your business in Brazil? Check out the short video below to learn about our market entry services.